In these times of increasing repression in France, national daily ‘Le Figaro’ shows its true colours as a propaganda tool rather than a source of factual information. An article published on the website of Le Figaro last week (23rd March 2011) aroused our curiosity as, in addition to vague threats about cyberpolice, it mentioned the well-known cannabis seed company Sensi Seeds on several occasions. Rastafarian can smoke weed in Italy! Rastafarians have always regarded Ethiopia as the promised land, but Italy could rank a close second after its Supreme Court ruled that smoking or possessing cannabis is not a criminal offence but a religious act when the person doing it is a Rastafarian. Last year, the same court declared that cultivating even a single cannabis plant was a punishable offence. But now Italy’s Court of Cassation has said Rastafarians use marijuana “not only as a medical but also as a meditative herb. And, as such [it is] a possible bearer of the psychophysical state to contemplation and prayer”. 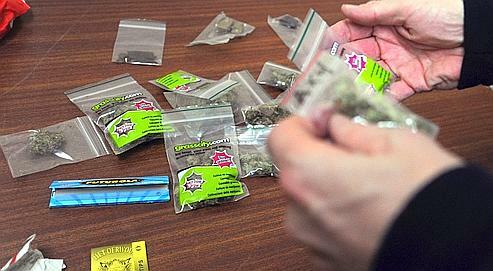 Release, the London-based drugs information service, said that the ruling was a European first. The case was brought by a man in his forties from Perugia who was sentenced to 16 months in jail plus a €4,000 (£3,000) fine in 2004 for possession of 97g of marijuana. The Supreme Court said the court of first appeal had failed to consider that the man, a Rastafarian, smoked marijuana according to the precepts of his religion, which, the judges said, permits the smoking of 10g per day. Rastafarians smoke the drug, said the court, “with the memory and in the belief that the sacred plant grew on the tomb of King Solomon”. The government is livid. The judgment “shatters the laws which forbid and proscribe penal sanctions for” the use of illegal drugs, an Interior Ministry spokesman said.